The Waltz is an elegant and graceful dance that is designed for large dance floors. Because of the dance’s long, flowing movements, perpetual turns, and rise and fall technique, dancers appear to glide effortlessly through the space. Waltz can be done to any music with a slow tempo in ¾ time. Our favorite waltz songs include “Moon River” by Audrey Hepburn and “Come Away with Me” by Norah Jones. 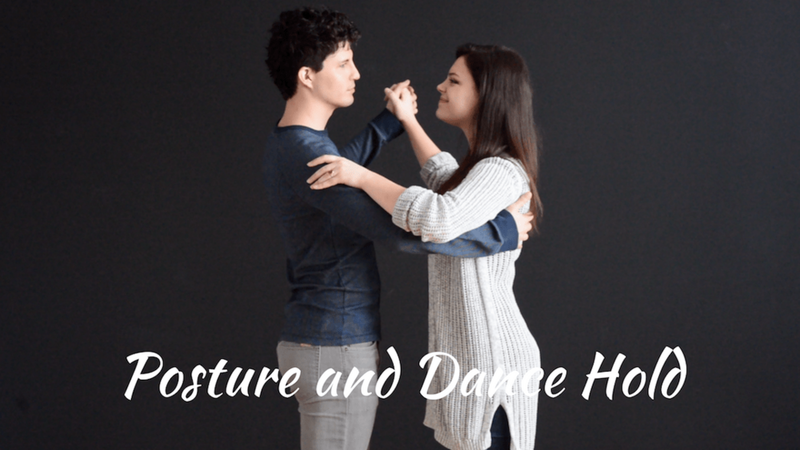 In this blog post, we will tell you the history, characteristics, music of Waltz and show you how to do the Waltz basics. Enjoy! Although we think of Waltz as classy, the form was considered vulgar and immoral when first introduced to English ballrooms in the early 1800’s. It was the first time anyone had seen a man holding a lady so close! It started as a country folk dance in the suburbs of Austria and Bavaria. While the upper class danced the minuet, bored aristocrats snuck away to their servants’ balls where they discovered the Waltz. Shortly thereafter, the Waltz was introduced to the United States where the dance and music developed a slower tempo. Waltz is a progressive dance style that travels and sways. It is characterized by large, fluid movements and turns with a rise and fall technique. Waltz resembles Foxtrot in that it has a similar frame. Foxtrot is done in an even time signature whereas waltz is done as a triplet. The time signature in Waltz is 3/4. The waltz basic can be counted as "1,2,3; 1,2,3". Waltz can only be done to music in this time signature. Check out our Waltz song list here! The waltz that is common in the west is danced at approximately 90 beats per minute with 3 beats in each measure. If a song is faster (around 180 beats a minute) then Viennese or a modified Waltz would be more appropriate. In Waltz, dancers maintain a wide and extended dance hold that helps them travel across the floor and navigate more efficiently. How to Waltz? Let's Start with the Basics! The waltz box is the basic step in Waltz and it is a simple yet versatile step perfect for beginning dancers. Learn how to do the waltz box step in this tutorial video below. Once you've mastered the basic box step, you can move on to learn a beautiful Under Arm Turn! What is favorite ballroom dance style? Please share! Want to learn more Waltz? Check out our Online Dance Lessons now! Jitterbug, East Coast, West Coast and Lindy Hop ... What are the Differences? “In the Mood,” “Sing, Sing, Sing,” “Mack the Knife.” Do you recognize these tunes? They are some of the top swing songs of all time. From the 1920s to today, dancers have been stepping, spinning, and hopping to these songs. There are many variations of swing dance that developed throughout the last century. In this blog post we will talk about the history of swing and some differences between the many variations of this fun style. History: Jitterbug, also known as Single Swing or Swing Time Swing, was popularized in 1930s by Cab Calloway and his song “Call of the Jitter Bug.” Very similar to the Lindy Hop, though not quite as acrobatic. There are many stories as to the origin of this name, “jitterbug.” One theory is that it is believed to have come from observing the way dancers moved on the floor. They bounced, hopped, and exaggerated their movements, which made them look like bugs! Characteristics: Similar to the Lindy Hop, Jitterbug is usually very energetic, usually including very sharp, jerking movements. Partners will often switch between the traditional face-to-face stance and a side-by-side hold. 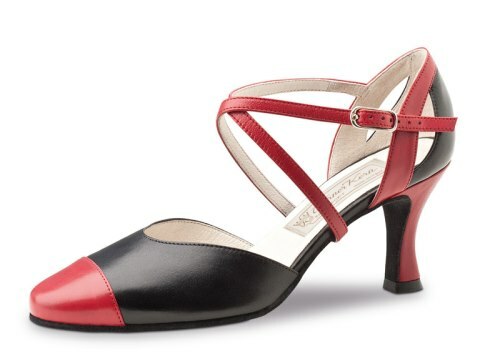 Steps: The jitterbug basic is similar to the East Coast Swing. It is done in 6 counts, beginning with a rock step and two side steps. Leader: Rock step left. Step left, then right. Follower: Rock step right. Step right, then left. History: This is the most common swing style, also known as Eastern Swing, American Swing, East Coast Lindy, and Triple Swing. It was created by dance studios in the 1940s as a more simplified version of the Lindy that could be taught to the masses. Eventually the style was standardized and became a part of the competition circuit. Characteristics: East Coast Swing is traditionally danced to big band music, has a slight bounce, and lots of energy! It is a stationary dance, so dancers usually stay in the same spot on the floor, dancing in circular movements. If it’s a crowded floor, keep the steps small so you don’t bump the other dancers around you! Steps: Side to side with a rock step. History: Began as “Western Swing” in 40s and 50s. Continued to grow as rock n roll music became more popular. One theory of the creation of West Coast Swing claims that it was developed because people were dancing in the aisles at concerts. To make sure they had enough room to dance, they had to stay in a specific, rectangular area. Others say it had more to do with the needs of movie musicals. Because there was no wide-angle lens for cameras yet, in order to fit dancers in the frame, they had to stay in one spot! Whether or not either of these theories can account for it, West Coast Swing developed a unique in-and-out pattern. Characteristics: West Coast Swing is a slotted dance, meaning the dancers stay in a rectangular area, or panel, of the floor. While dancers do follow specified foot patterns, improvisation is also a large part of West Coast Swing. It is generally a smoother, more grounded swing style than previous versions. Featured in movie “Hot Rod Gang” (1958). Dancing starts at 1:30. Steps: The West Coast Basic is danced in 6 counts. Two walks forward, followed by two triple steps. History: The original swing style, the Lindy Hop was created as Jazz music gained popularity in the 1920s and 30s in Harlem, New York City. Allegedly it was named from Charles Lindbergh’s “hop” across the Atlantic in 1927. The Savoy Ballroom in New York held famous Lindy Hop competitions every Saturday, pushing dancers to reinvent and perfect their moves. A bouncer there by the name of Herbert “Whitey” White put together a team of dancers called “Whitey’s Lindy Hoppers” that popularized the Lindy Hop across the nation. They appeared in live performances around the country and in several feature films. Here is a scene from their first one in 1937, the Marx Brothers movie “A Day at the Races”: http://www.savoystyle.com/QT/DATR_norma.mov. Characteristics: The Lindy Hop has a syncopated rhythm to match the Jazz music to which it is danced. Improvisation is encouraged, which means although there are patterns that can be learned, there are also many opportunities for both the leader and follower to insert their own moves and find a unique style. It can be very energetic and acrobatic or smooth and sophisticated. Rock step. This done by placing one foot behind the other and shifting weight from the back foot to the front foot. Triple steps. These have a syncopated rhythm, often counted “1-a-2, 3-a-4.” It is executed by shifting weight from one foot to the other: left, right left or right, left right left. Swivel. The follower does this by planting one foot on the ground with toes pointing outward. Then as you turn the toes inward, pick up your other foot, and shift your weight. Leader: left foot steps back, right steps in place, triple step. Right foot steps behind, left foot steps side. Finish with a triple step right. Follower: Swivel right, left. Triple step right. Walk forward left, right. Finish with a triple step left.